Last weekend, Wizard World put on a convention in my city–and I and many other geeks turned out to browse merchandise and watch celebrity interviews. Naturally I brought along my camera…so naturally I thought of sharing some photos with you! 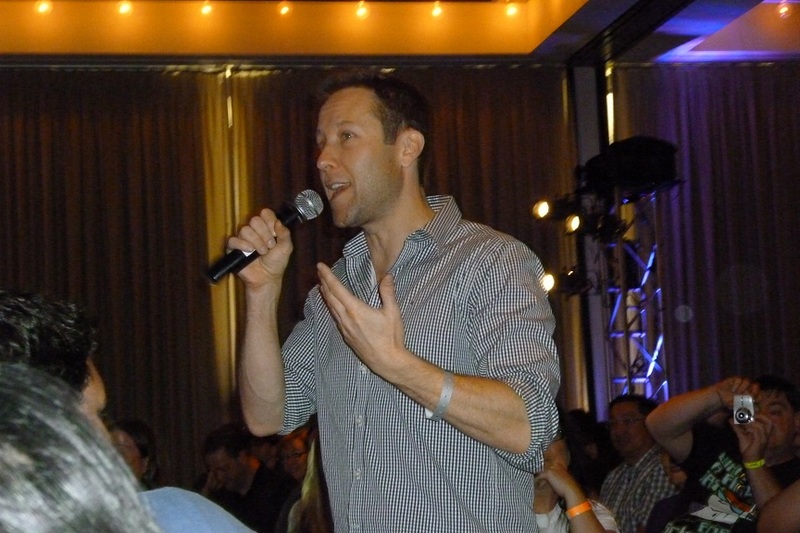 First presentation was by Michael Rosenbaum…who you might recognize more easily if you imagine him without hair. He’s best-known as Smallville‘s Lex Luthor. He was brilliant in-person, doing his entire presentation from the center aisle. 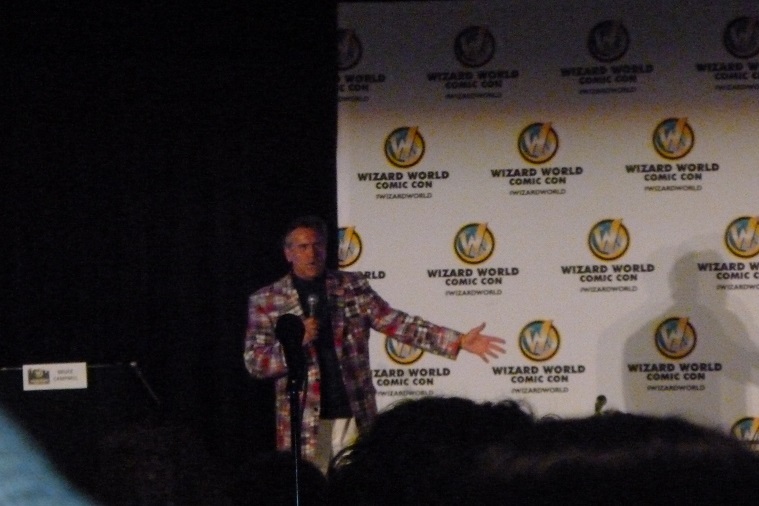 I was much farther away from Bruce Campbell, who I know best as Autolycus from Hercules and Xena, but apparently he’s far better-known for other things…or so I’ve been told. All I know is that the horror fans at my writing group found Campbell to be the most exciting celebrity guest. Visit West Metro Mommy for more Saturday Snapshots! What a fun event for all the fans of comics and sci-fi/fantasy! We used to go to Star Trek conventions when we were young. We managed to see the whole crew at one or the other. Glad to see you had a great time! My husband would be HEAVEN at this event! He loves Bruce Campbell’s movies and Shatner is one of his heroes! Glad you had such a good time and got to complete the Star Wars thingy! I’ve heard Comic Con is a lot of fun. Seeing Captain Kirk in person would be a real treat. I have only started watching Star Trek but it is a great series. Great shots. 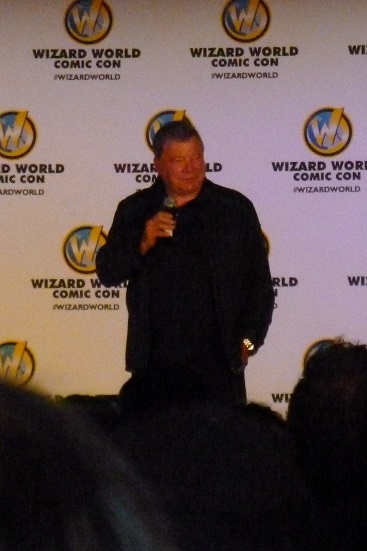 Looks like you got pretty close to William Shatner, or did you use some sort of zoom lens? The conventions sounds like fun, and the celebrities seem to have put some thought into their presentations, which makes it much better than just a straight “Q&A” session with the usual fan questions. Bruce Campbell is from the Evil Dead films which are absolutely brilliant! Wow, William Shatner. That is exciting. Looks like you had a great time at ComicCon. That jacket in the second photo looks quite dazzling! Thank you for sharing photos from your experience.